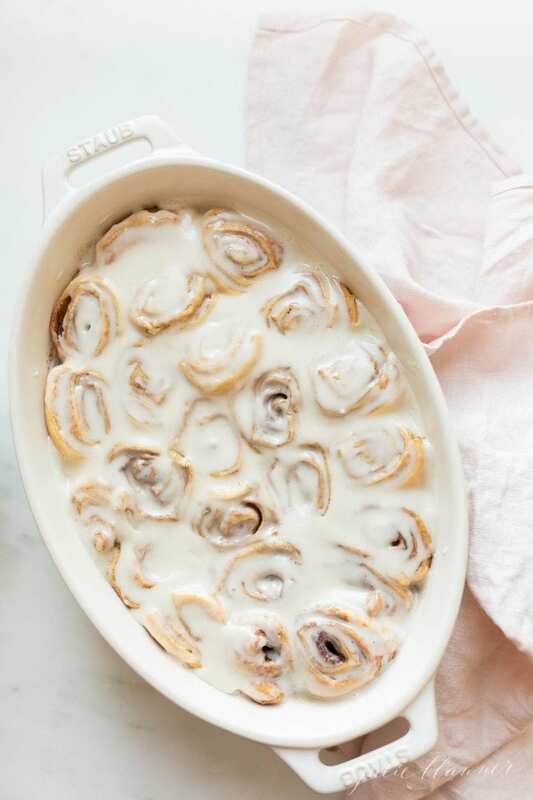 Take a shortcut with this Easy Cinnamon Rolls recipe! 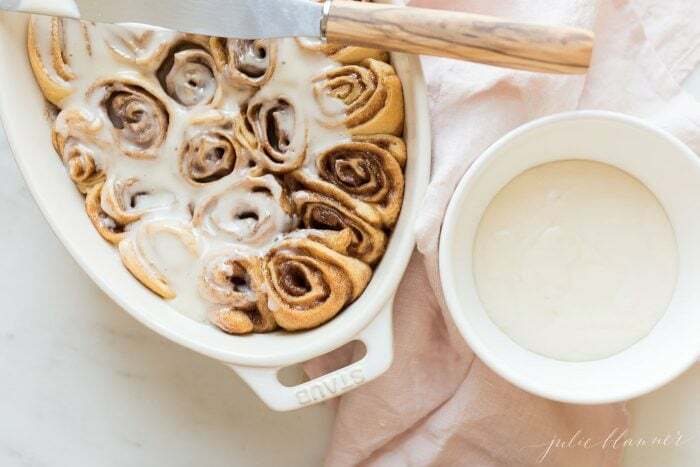 Crescent rolls cinnamon rolls take just a few minutes to make using incredible cinnamon roll filling and classic icing. 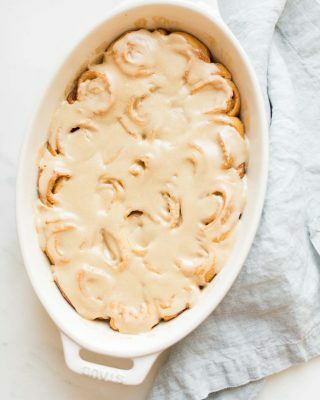 I love making and enjoying the best cinnamon roll recipe because they’re light and fluffy, thick and moist, but making yeast cinnamon rolls requires more effort. Truly a treat, however, sometimes you don’t have an hour (including rise time), especially in the morning. 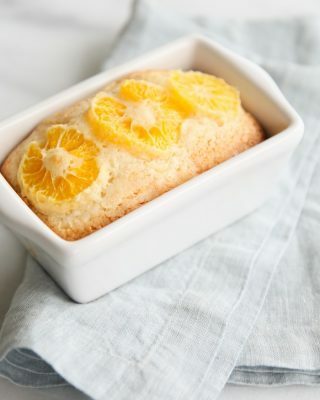 You’ll love this recipe as an alternative! 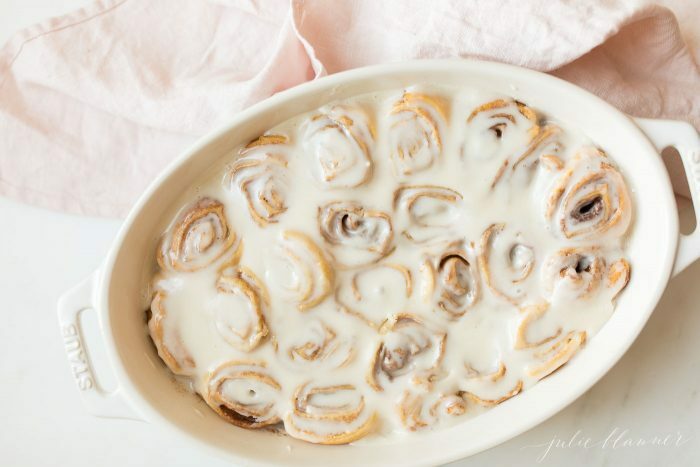 On days you want a shortcut, but almost homemade, you’ll love these Easy Cinnamon Rolls! They make a quick and delicious weekend breakfast and yet feel special enough to serve to guests over the holidays. They take about 10 minutes hands on time using crescent roll sheets. 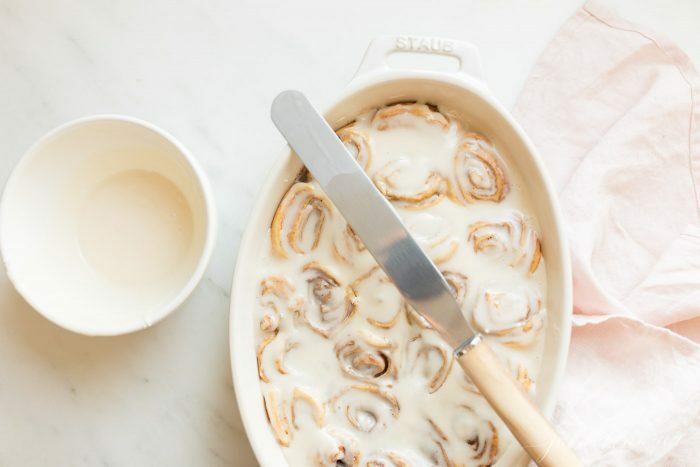 The secret is in the cinnamon roll filling. 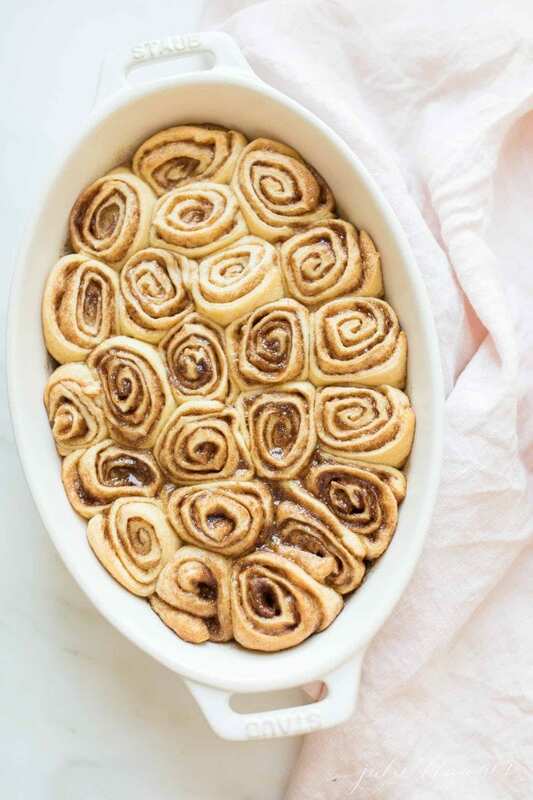 The perfect blend of melted butter, brown sugar and cinnamon make these Easy Cinnamon Rolls stand out! Of course the icing is well, the icing on the “cake” that takes them over the top. 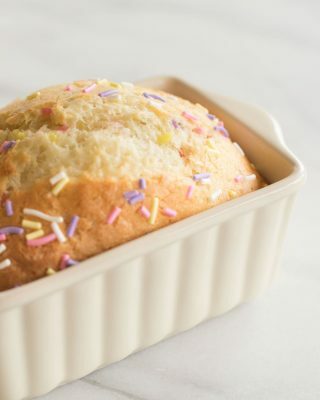 Powdered sugar, butter vanilla and milk poured over the top of the rolls just before serving make them memorable – and irresistible! 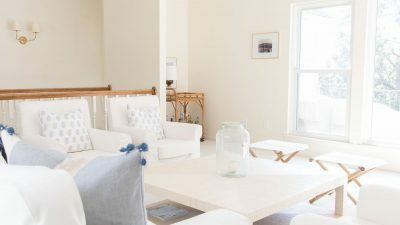 If you prefer, cream cheese icing is amazing, too! 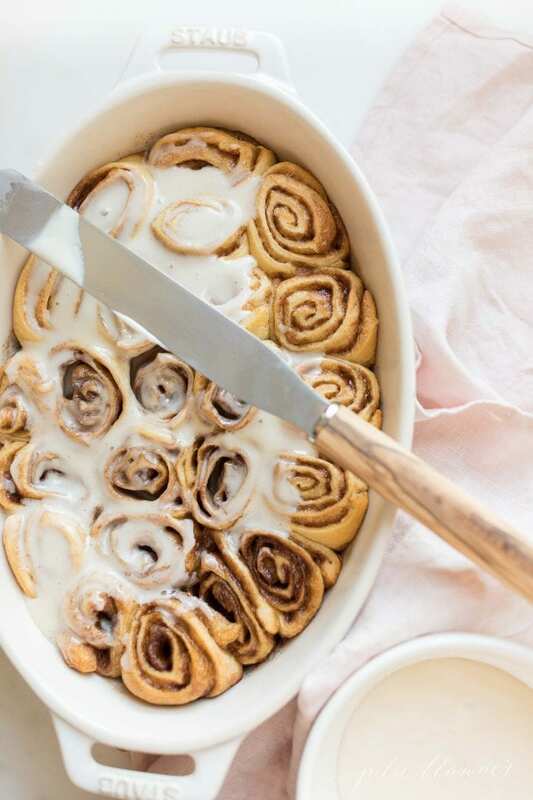 These Easy Cinnamon Rolls are not only simple to make, but to present as well. They go from oven to table serving them directly from the casserole dish! 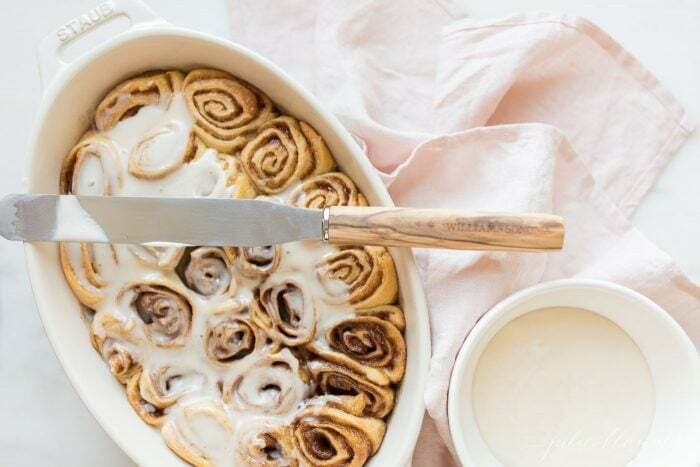 You can even make these crescent rolls cinnamon rolls in advance and bake just before you’re ready to serve. 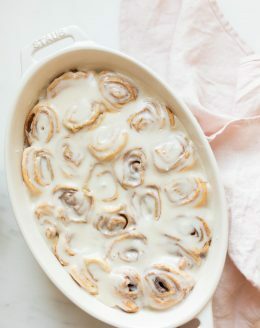 You can reheat cinnamon rolls individually in the microwave for 20 seconds or in the casserole dish at 350 degrees for 5 minutes. For less than 36 hours, store at room temperature in an airtight container. 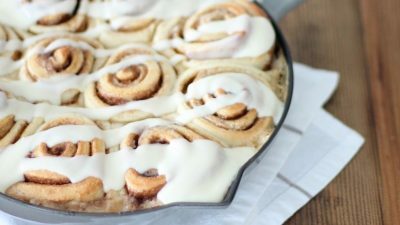 You can also freeze cinnamon rolls, storing in an airtight container covered in plastic wrap to avoid any freezer odor. 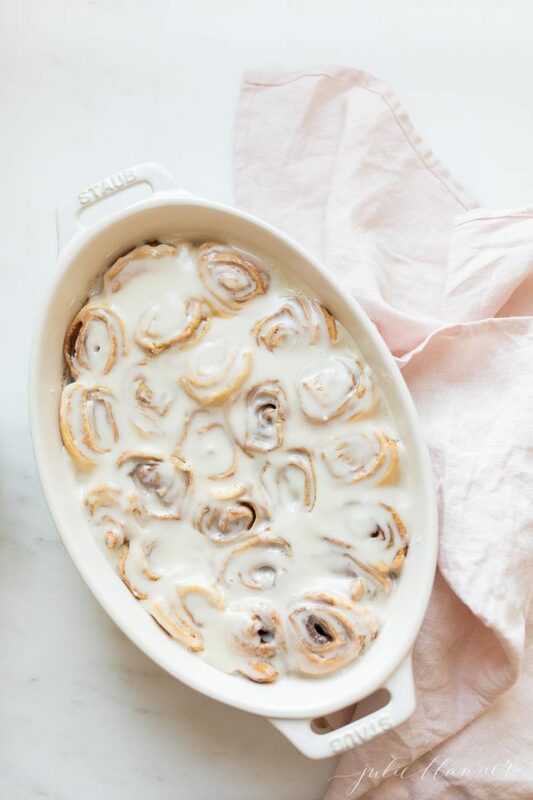 To see how easy this Cinnamon Rolls recipe is, watch the video in the post. 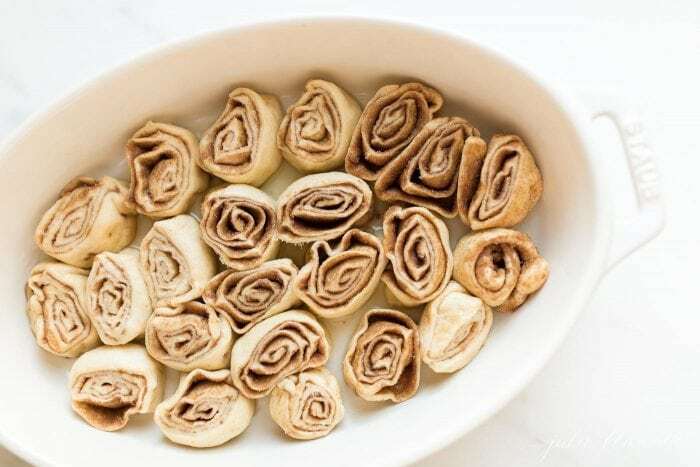 Unroll crescent sheets onto parchment paper. 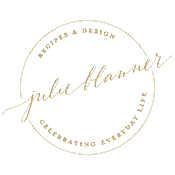 Brush butter onto crescent sheets. Combine brown sugar and cinnamon. Sprinkle onto dough. Roll the dough and slice each log into 12 pieces. Place in a buttered casserole/baking dish. Bake 26-28 minutes. Meanwhile, combine powdered sugar, melted butter, vanilla and milk. Pour over rolls and serve. 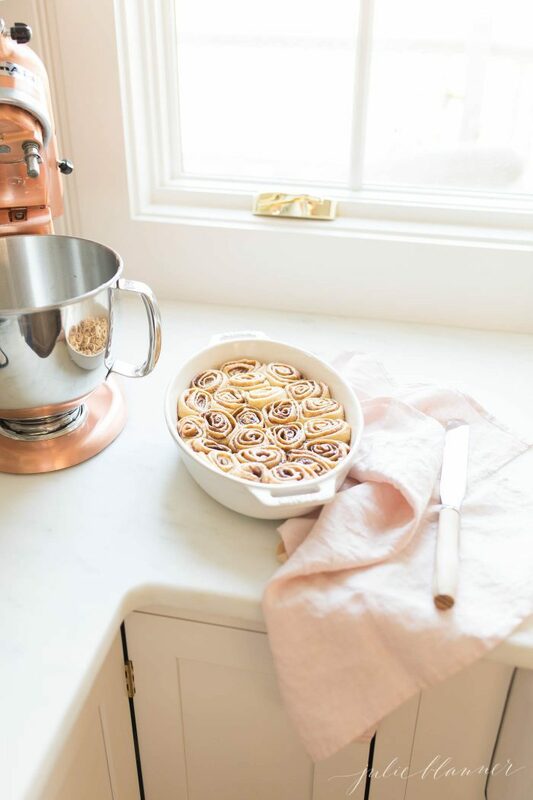 Refrain from removing crescent rolls from the refrigerator until ready to make your easy cinnamon rolls. This makes them easier to slice. 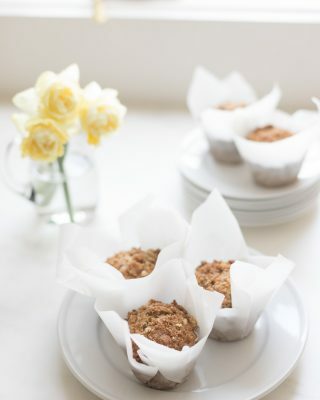 Line your working surface with parchment paper for easy clean up.